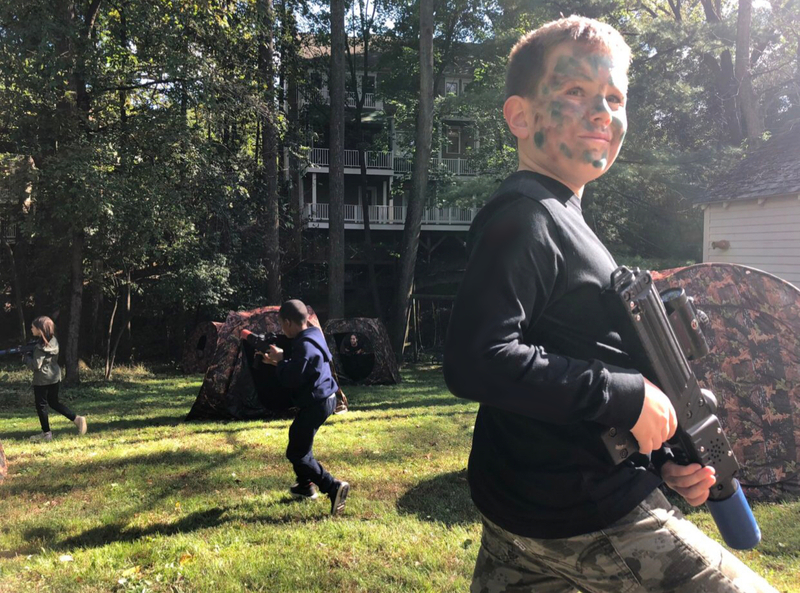 The Thrill Of Laser Tag Competition In Your Own Back Yard! 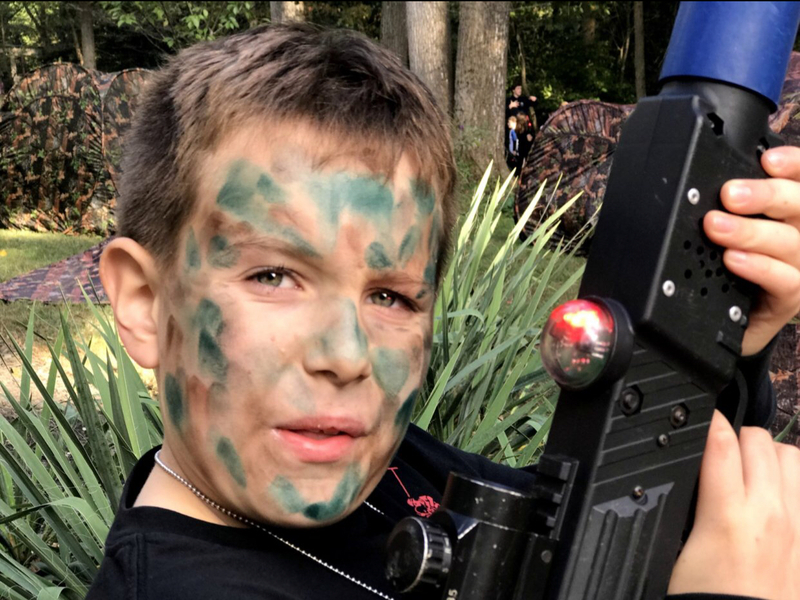 Laser Tag 2 You brings high-tech, realistic “battle” action right to you! Our Game Coach sets up the playing field, instructs and readies players for the game and referees the party! You relax, and your home stays clean! See our Pricing. 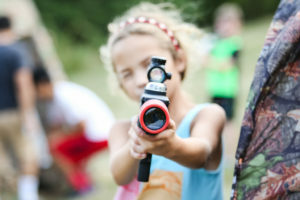 With the most high-tech laser tag system by Adventure Sports HQ, players feel as if they’ve been thrust into a cooperative showdown between teams for the highest score! It’s safe, energizing, and fun! We have different Game Modes to choose from. Check out our FAQs! Check out our large Service Area! 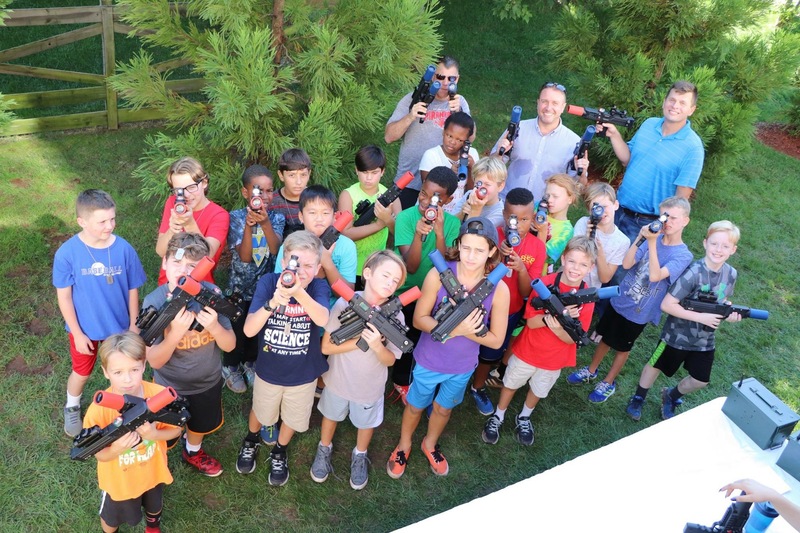 Our amazing laser taggers are state of the art! Real time scoring! 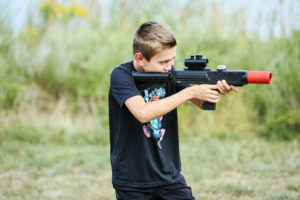 Check hits, tags, who is winning, ammo and so much more! 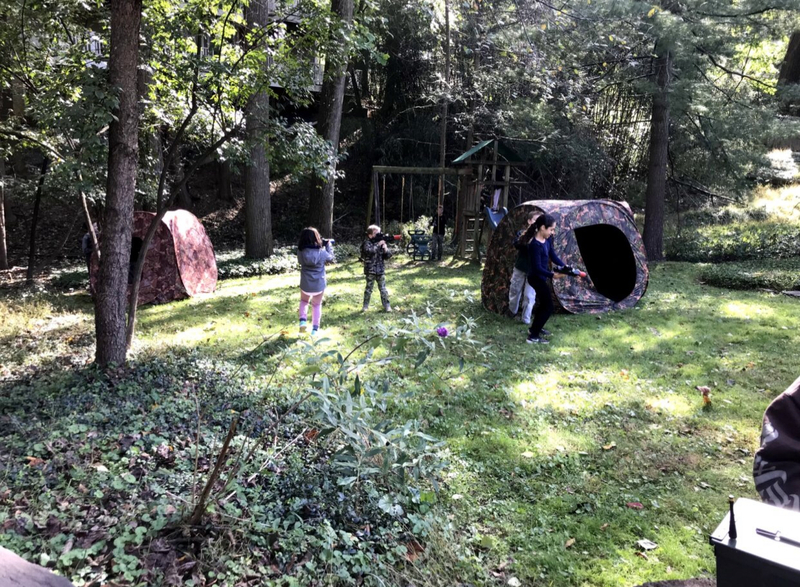 Our laser taggers work day or night, indoors or out! 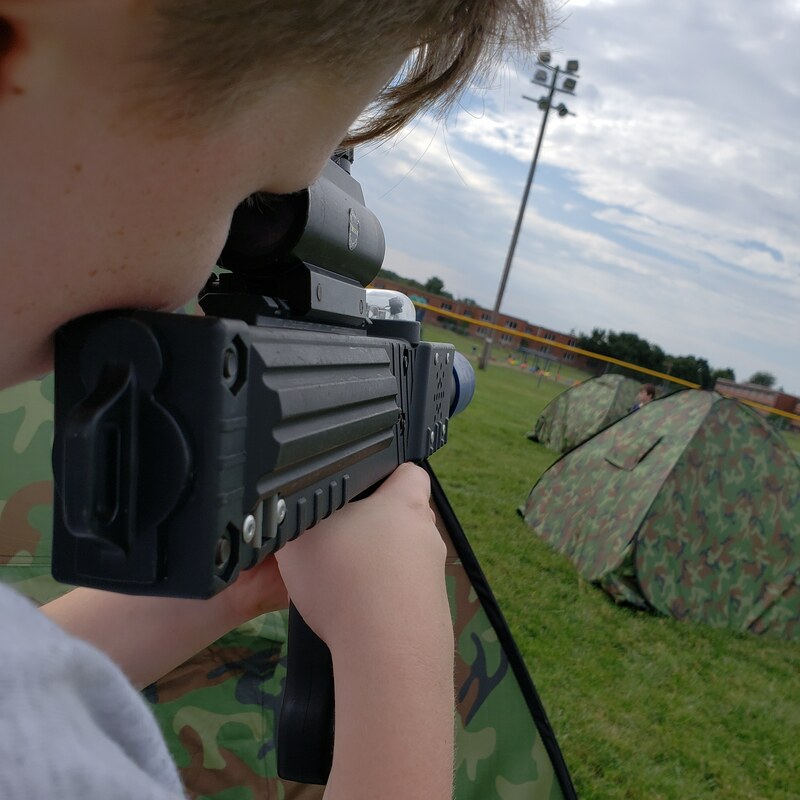 With the new addition of Revolution and game boxes it takes mission-based games, such as Capture The Flag, King Of The Hill, Grab for Gold and more to a whole new level! We service Northern Virginia, including the counties of Prince William, Loudoun, Fairfax, Fauquier and Stafford. See our FAQs! 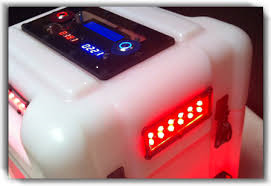 In our laser tag games, each of your guests can choose an operative codename. Our technology keeps track of events within the game, such as who your guests tag (their “kills”), the number of times they are tagged (their “deaths”) and a calculation of the ratio between the two points (“K/D Ratio”). An example is pictured here. In the game, “King of the Hill,” teams of players compete for control of the cube. The team who can spend the longest with the cube is the winner! 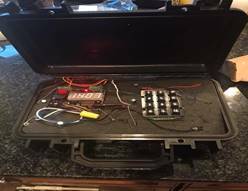 This fake bomb is given a preset timer that counts down. One party guards the fake bomb, the other party attempts to defuse it, eliminating any opponents in their way.